Like all sectors, agriculture, especially bananas, was decimated by Hurricane Maria when the storm swept through Dominica on 18 September 2018. A nine-month crop, banana production is coming back. In abundance. But where are the markets? Gregoire Thomas, the general manager of the Dominica Export Import Agency (DEXIA) says his department is working hard, in conjunction with farmers and the Ministry of Agriculture to ensure that Dominica's bananas receive a place on the regional market. 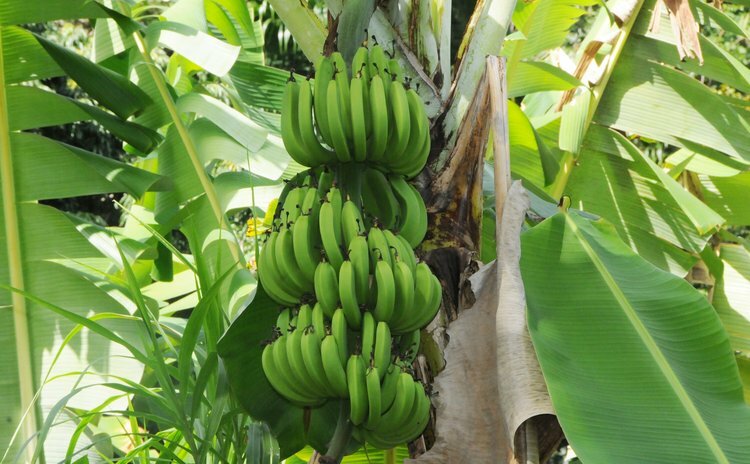 Dominica, Thomas said, has not exported bananas to the United Kingdom market in a long time due to quality issues associated with the outbreak of Black Sigatoka leaf spot disease. "Since then, the Ministry of Agriculture has been working hard to review our banana industry and have even brought in some tissue culture plants. So in 2016 we had quite a bit of bananas that we, at DEXIA, in collaboration with the Ministry of Agriculture and Trade mounted a mission to the regional market to look at marketing opportunities for bananas," Thomas said. He continued: "Our market research to the region, up north, Antigua, BVI, St. Kitts, St. Thomas, revealed that regionally on a weekly basis would absorb ten thousand boxes of bananas and at that time Dominica was doing 2,800 boxes. There were other suppliers like St. Lucia, St. Vincent and other extra regional people. We had some very good leads in Antigua where we could continue to export our bananas. We have not been able to export on any consistent basis…but recently we have been working with the Ministry of Agriculture because of the anticipated yields in production…we are looking at Antigua and St. Kitts. "Since after Hurricane Maria, we have some increased production…banana prices are still high on the market. We have had discussions with the ripeners. Last week we made a small shipment to Antigua of about 150 cartoons. Our aim is to ship to Antigua as production builds up and our goal is to ship a container load to Antigua on a fortnightly basis. The local market cannot absorb all the bananas we have so we need to deal with the extra-regional for export to relieve the pressure on the market," Thomas said. He said that transportation logistics to have containerized shipments to Antigua is being organised but in the meantime, the ultimate plan "is to get back to the extra regional market". But farmers and agriculturists are anxious for the market for bananas to be stabilized. "I understand that there is a constraint for shipping which puts a big constraint on the farmer to be able to use that export market for his income," said Joseph "Joey" Peltier, a farmer and former Director of Agriculture. "They need to look at the niche market, Martinique, Guadeloupe, St. Lucia…Barbados and then the UK which has gone since 1992." Peltier added: "The emphasis should, however, be on the regional market to recapture it and get Dominica back on that market".